Seasoned Jazz Musician and Band leader, specializing in small ensemble Jazz including Hard bob, Swing, Blues, as well as New Orleans Street music. We can play any event from high class business events to private parties and weddings. Rates are negotiable. 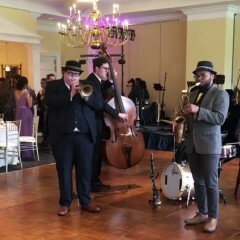 We can play wedding ceremonies too! (Trumpet and piano/organ) as versatility is my speciality. Ben and his quartet were awesome! Great to work with and great performers. I hired them as our cocktail band for our wedding and they really made it come to life. People raved about their performance. Awesome job! Thanks so much, Ben! Benjamin and his trio played our wedding cocktail hour and dinner. They were simply amazing and left everyone speechless. We received so many compliments for them and everyone wanted to know how I found such an awesome musician(s). The crowd even demanded an encore! I would highly highly recommend Benjamin for any event. They were punctual, professional and the music spoke for itself. Punctuality, low maintenance, professionalism and quality performance. Audiences always leave happy from one of our performers, from children to the elderly. We can perform jazz, funk, soul, New Orleans street music, and anything else that will want you to get on your feet and move to the beat! At the same time we have the control to play at low volumes so set the ambience of a room in quiet, more serious situations. Most importantly we are versatile. Ben Green, a Detroit Native, is an up and coming artist in the jazz world. Studying with trumpet and band leader masters such as Johnny Trudel and Sean Dobbins, Ben has learned the skills to to manage his own ensembles and become successful as a young. 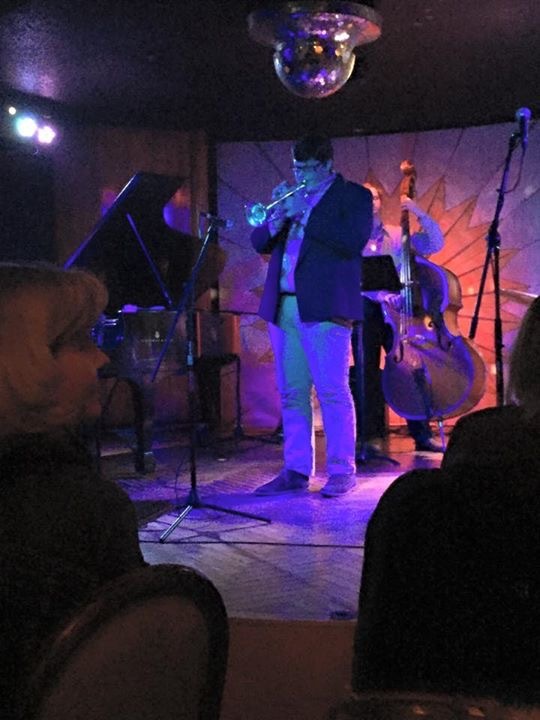 Ben also has studied under master trumpet player Bill Lucas at the University Of Michigan to refine his skills. Ben enjoys playing and listening to music from all walks of life. Ben values punctuality and professionalism as some of the most important aspects of the music industry, only coming after sound itself. The only requirement for performances is a wall outlet or power source. Ben's ensembles are no maintenance and supply all of their own gear. If there is a piano available at the space they will use that but if not the ensemble playing will use an electronic keyboard. As far as dress, the ensemble can wear anything from casual to black tie, completely at the discretion of the Client. Recent review: Loved the music. He showed up early and was great.